Welcome to day 6 of 12 Days of Christmas Ornaments! 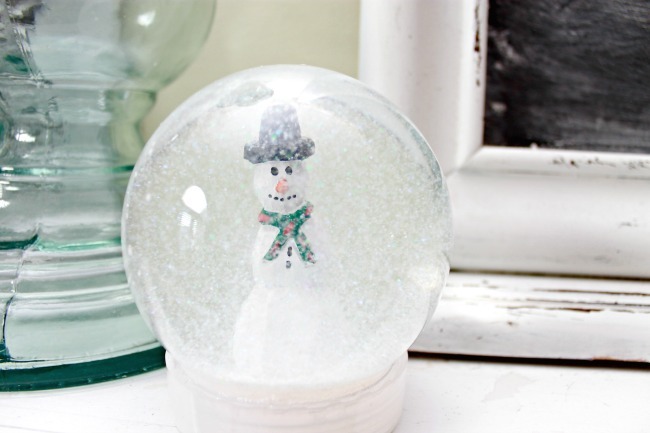 Today I want to share a Snow Globe that Kate and I made. It’s not really an ornament so to speak, but I think it’s close enough! While shopping at Michaels for our ornament making supplies, we stumbled upon this little snow globe kit, and Kate got so excited! 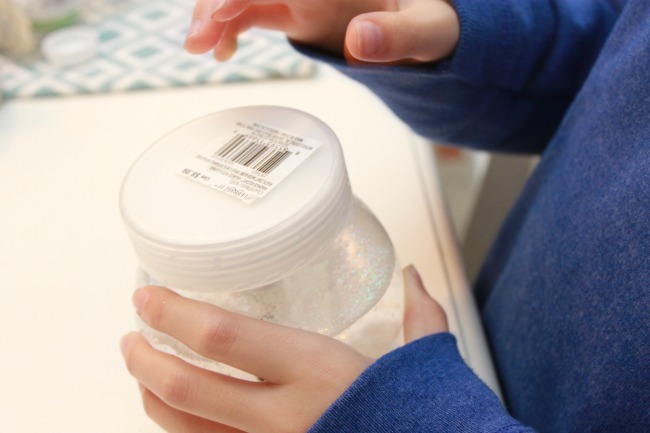 She loves snow globes and has always wanted to make one of her own! 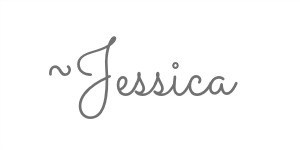 To view all of the ornaments that have been shared in the 12 Days of 12 Ornaments I am participating in so far, click HERE! 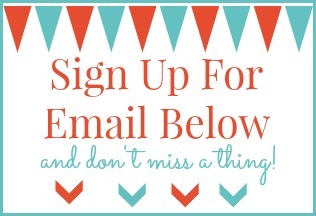 By the end of the 12 days, there will be 144 handmade ornament tutorials! 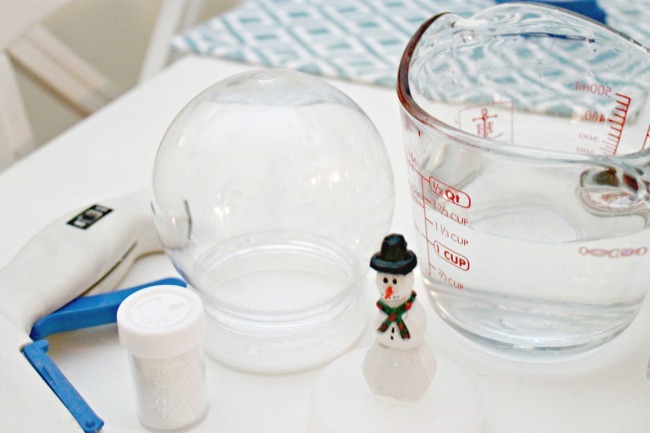 Here is what we used to make our snow globe… a snow globe kit, glitter, a snowman (or whatever you would like in yours), water, a hot glue gun and clear dish soap. 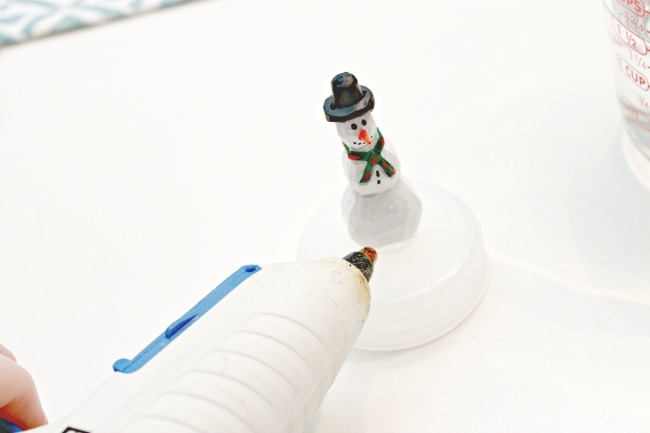 Start by gluing your snowman or whatever you are using to the insert that is included in the kit. 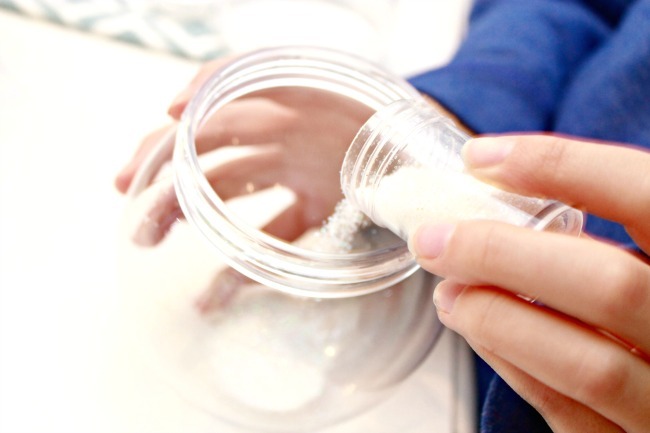 Now add about a teaspoon to a tablespoon of white glitter. 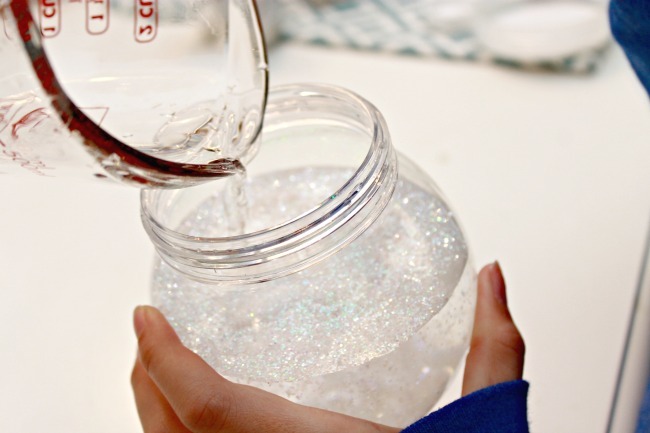 The amount of glitter will depend on how “snowy” you want yours to be. Now fill your globe with water all the way to the top. 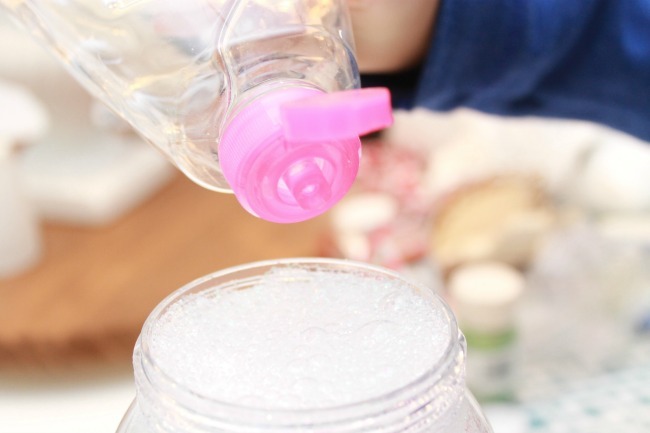 Add about a teaspoon of glycerin or clear dish soap. Place the insert into the globe, then screw on the bottom. 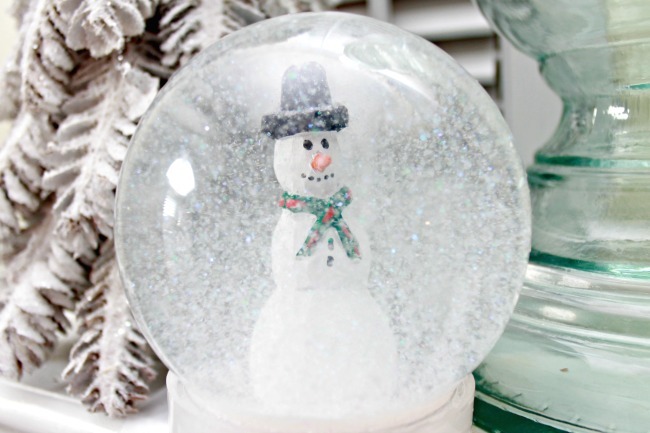 Shake up your globe and watch it snow! 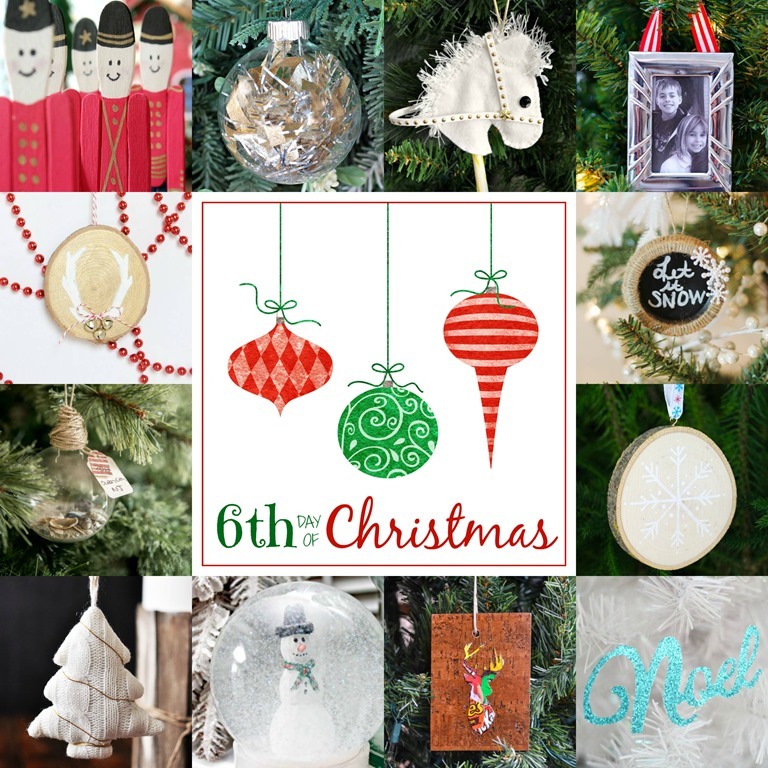 Be sure to check out the other 11 amazing handmade ornaments below!